The administrator can give other users permission to access LS Express and use all of its features. 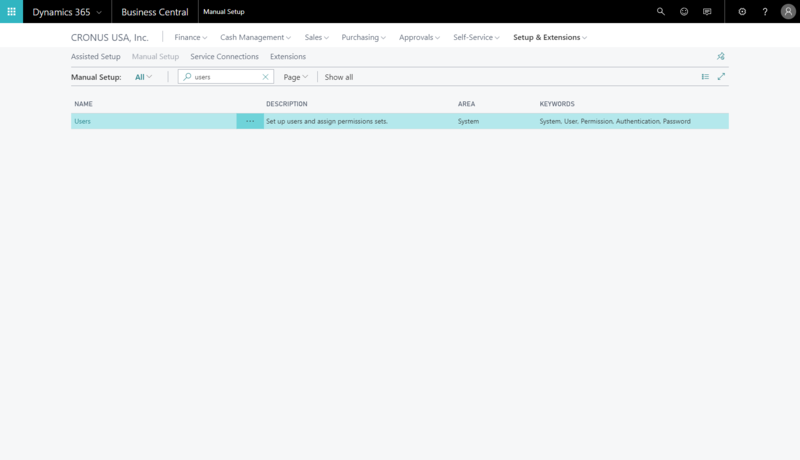 The Users page must be open to add or remove permissions; from the Business Manager role center, open Setup & Extensions, then Manual Setup and then the Users card. In order to add LS Express permissions for a specific user, select a user in the list and select Edit. 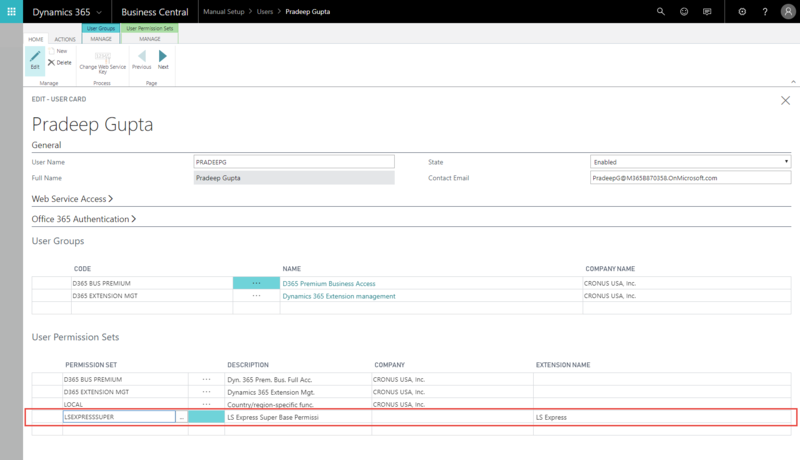 In the User Permission Sets section add a new line and locate the LSEXPRESSSUPER permission set. The user can now use LS Express. In order to add LS Express permissions for more than one user at a time, select the Permission Set by User tab in the actions menu. User permissions can be added or deleted here. 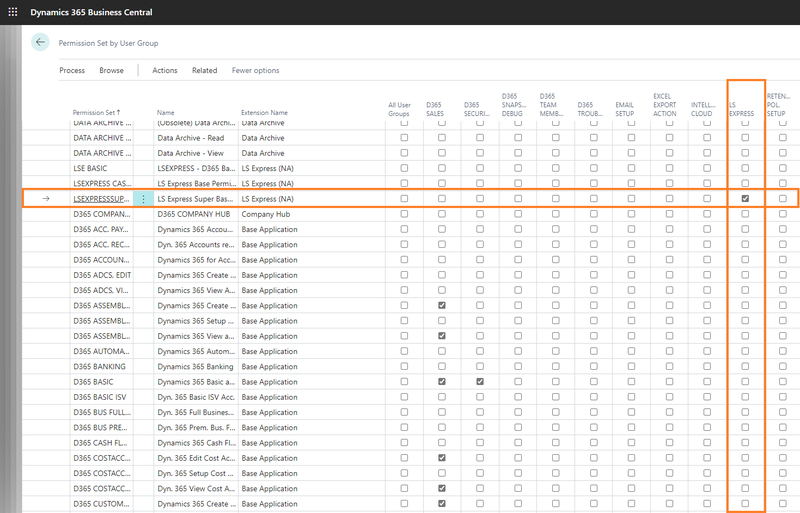 In order to enable LS Express for the selected users, scroll to the bottom and navigate to the LS Express Super Base Permissions field for the LS Express extension. Now any user can be given access to LS Express by selecting the corresponding user's check-box. It is also possible to create a User Group and add the LS Express permission set to the user group, and then add staff as members to the group. 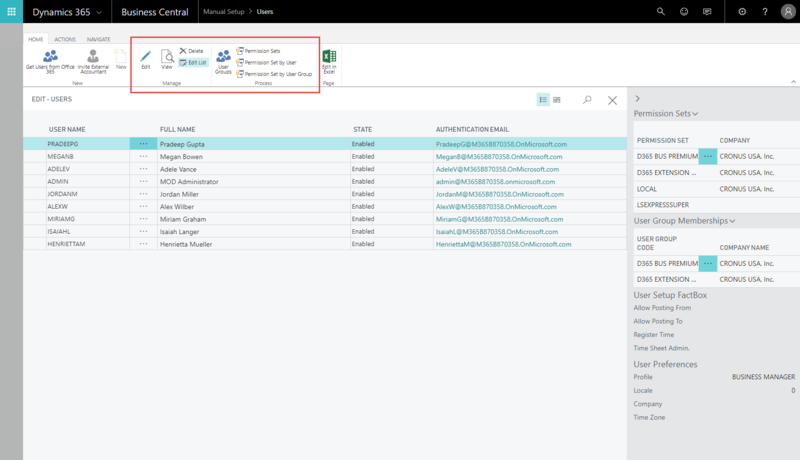 It is also possible to set a default role center for the user group making it easy to set up the users who will primarily be using the LS Express role center. 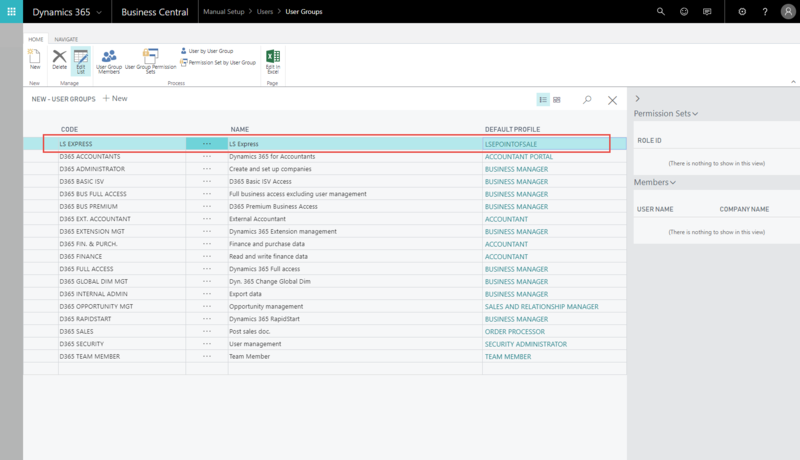 To create a user group select User Groups from the actions menu. 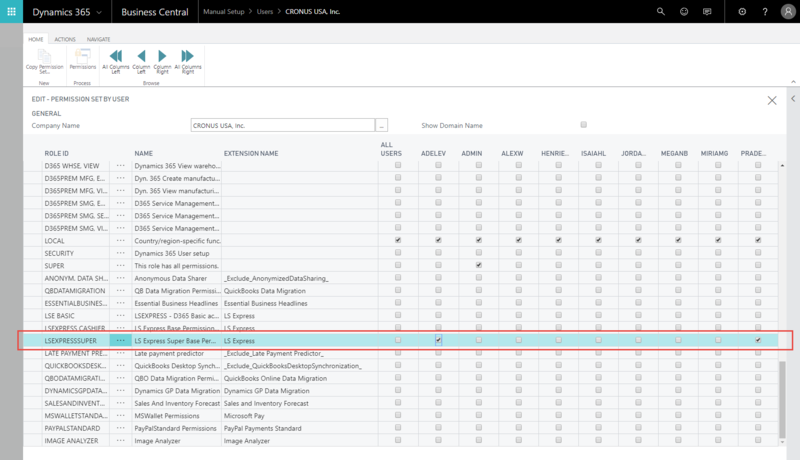 Locate the user group that was just created - note that it might be necessary to shift the columns using the arrows in the actions menu. Once the permission set has been added to the user group it is possible to add members to the user group either by editing the user and adding it directly, or opening the User Group card and adding members to the group from there. Tip - to add more than one user at a time select the "..." and "Select More" to get check boxes, and then simply place a check for each user that should be added to the group. Each user in the group can now use LS Express and their default role center will be the LS Express Point of Sale.